Jesus: Yes my dear one. 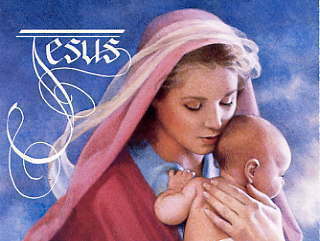 Jesus: My dear one, it is I, your Lord God and Savior, Jesus of Nazareth. Anna Marie: Yes my Divine Lord, I love you Jesus. My Lord may I ask You please, will You bow down and adore Your Holy Eternal Merciful Father, who is the Alpha and Omega, the Creator of all life, of all that is visible and invisible? Jesus: Yes my dearest one, I, Your Divine Savior, will now and will always bow down and adore My Holy Eternal Merciful Father, who is the Alpha and Omega, the Creator of all life, of all that is visible and invisible. Anna Marie: Please speak my Holy Divine Savior, for your sinful servant is now listening. Jesus: My dear one, I have come to speak with you this day regarding the New Year 2018. This year will not be an easy one for many as the world has increased in evil practices and the destruction of life. No one knows the diabolical wicked practices that so many humans are committing each day. If you only knew what Your Father in Heaven knows, you would be on your knees in prayer daily, praying for the victims of such satanic occult practices. Woe to the world, for your day of destruction is near! Woe to those who serve the enemy of God, for truly I say to each, you will burn in the pit of damnation forever and your pains will never be relieved. You have chosen hell, so you will endure it for all eternity! Jesus: For any witch who was once a Catholic, you have separated yourself from Holy Church. You have excommunicated yourself from My Father’s grace and Mine. Your sacrilege and heresy will not go unpunished. You will be condemned to hell for all eternity because you knew Me through the Sacraments of Grace, but you departed from them. You have condemned yourself and will suffer unspeakable tortures for all eternity. Jesus: 2018 will be the last year for those in the occult to be able to return to me, through Sacramental Confession before it is too late. You must choose now, to serve Me your Divine Merciful Savior or the devil. You have no other options. You will either spend your eternity with Me in the Heavenly Kingdom or in the pit of hell, being tormented from demons, burning and other torture chambers that await you there! Now you must decide to repent, attend Sacramental Confession and atone for your wicked curses you have cursed against others. Repent now, while you still have breath in your lungs. 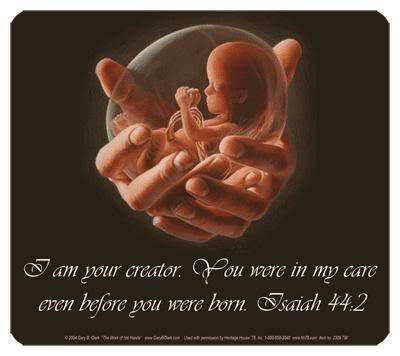 For you murderers, those who kill, those who have aborted, those who kill in the name of their false god: repent and ask for My Divine Mercy while you can. Jesus: My dear little ones, your time here on earth is being shortened, because My Father sees the younger children are all getting involved in the occult now. Strip your children’s lives of all things, all items that will send them to hell: computers, phones. These are tools that the enemy of My Father uses to draw your children into the occult and into the devil’s service. Why do you not see what is before you? Why do you parents, ignore and deny the truth when you see with your own eyes the wicked behaviors of your children? Jesus: Parents be assured, you will be held responsible before Almighty God because of your lazy parenting and the denial of your participation in their dereliction on attending Mass, saying prayers and ingratitude of My Father’s great blessings upon your family. Families, you have been warned, you must change while you still have time to make changes in your family members life. 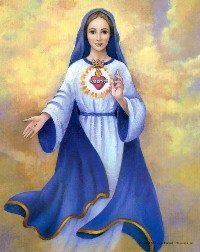 Pray now, pray for the holy graces to be poured upon you and your sinful actions. Jesus: Pray to receive the wisdom and fortitude to change yourself and your family members. Begin with the daily recitation of My Mother’s Holy Rosary. If you do, you will witness amazing grace being poured upon each member of your family. Pray for your family members, pray for your friends, pray for your Priests, pray for your community, pray for your government leaders, pray for your Catholic faith, for truly I say, she is under grave attack by those hiding their true intentions. They call themselves “Priest” but they are not. They are servants of the devil, wolves dressed in sheep skins. Pray for Holy Mother Church on earth and pray for My quick return. Jesus: I hear many of My beloved children, even my holy Priest sons, crying out to Heaven for My return. I know each of My servants who are suffering tortuous curses the demons exact upon my children. Continue to pray and please offer your sufferings for the salvation of sinners. Your prayers, sacrifices, and sufferings are all needed now to save souls. Please children, pray daily, pray perpetually, as much as possible. Pray, pray, pray! Jesus: I love you My beloved and chosen Apostles. You I have chosen in these End Days to save souls. I love you, you are mine and I will never leave you. Your Divine Savior, Jesus of Nazareth. Anna Marie: Thank you Jesus for your message! Praise You Jesus, all Apostles around the world love You Jesus! Jesus: I love them all!